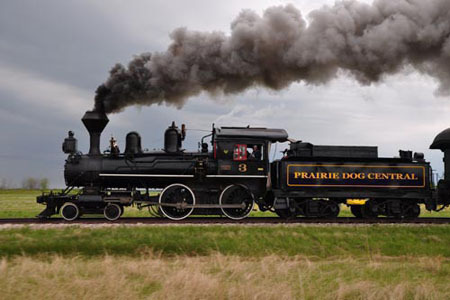 The Prairie Dog Central Railway is a short line railway owned and operated by The Vintage Locomotive Society Inc. (VLS) and it is one of the oldest regularly scheduled vintage operating trains in North America. The VLS is a Registered Charity whose primary objective is to maintain and operate the Prairie Dog Central Railway vintage steam train. It takes many volunteer members both on the train, at the station and in the shop to run the Prairie Dog Central Railway every operating day.